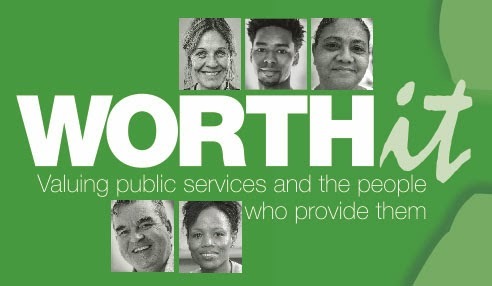 Welcome to the Public Works blog. 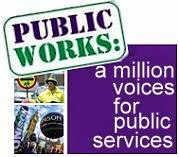 Public Works is UNISON Scotland's campaign for jobs, services, fair taxation and the Living Wage. This blog will provide news and analysis on the delivery of public services in Scotland. We welcome comments and if you would like to contribute to this blog, please contact Kay Sillars k.sillars@unison.co.uk - For other information on what's happening in UNISON Scotland please visit our website. Audit Scotland highlight major challenges for health and care integration in a report published today. The Public Bodies (Joint Working) (Scotland) Act 2014 aims to ensure health and social care services are well integrated and that people receive the care they need at the right time and in the right setting, with a focus on community-based and preventative care. Despite this progress, Audit Scotland have identified significant risks which need to be addressed and they argue that IAs will not be in a position to make a major impact during 2016/17. Difficulties in agreeing budgets and uncertainty about longer-term funding mean that they have not yet set out comprehensive strategic plans. Many IAs have still to set out clear targets and timescales showing how they will make a difference to people who use health and social care services. The report also points to the complexity of the proposed governance arrangements, with some uncertainty about how they will work in practice. This will make it difficult for staff and the public to understand who is responsible for the care they receive. Financial pressures on the NHS and councils. NHS boards and councils continue to face pressures from tightening budgets and rising demand for services. Most councils have responded to these pressures in part by reducing staff numbers and outsourcing some services to the private and voluntary sectors. These changes are less evident in the health sector. As a result, there are concerns that any future changes to the workforce will not affect health and care staff equally. Difficulties in recruiting and retaining social care staff. Over many years, councils have had difficulties recruiting and retaining care home and home care staff. Organisations in areas such as Edinburgh and Aberdeen, with high living costs, have had particular difficulties. There is a need to develop a valued, stable, skilled and motivated workforce. We found examples of organisations developing new approaches to making careers in caring more attractive. For example in Dumfries and Galloway and Aberdeen City they are considering creating caring roles that are part of a defined career path, to encourage more people into these roles. The role of the voluntary and private sectors. Voluntary and private organisations play an important role in providing care and support, but there are particular challenges in how IJBs can involve these diverse organisations as part of a coordinated workforce plan. The introduction of the national living wage will have a significant impact on the voluntary sector and their ability to provide the same level of support for health and care services. Overall, this report is a useful description of the current state of play in developing health and care integration. It also highlights a number of concerns over the pace of progress and the financial and other pressures the new arrangements will face. The aim of this blog is to highlight news and analysis about public service delivery in Scotland. It will cover issues such as service cuts, jobs, public service reform, privatisation as well as the wider political and economic context. This is an informal blog, not where we post press releases and other formal materials. Contributions should not be taken as formal statements of UNISON Scotland policy as it will cover areas where there is no settled UNISON policy or go into more detail. We want to avoid a dull corporate blog and instead promote ideas and discussion and disseminate news that might not be covered in the mainstream media. The main contributors are staff in UNISON Scotland’s Bargaining and Campaigns Team. However, we welcome comments and contributions from others who share the aims of our Public Works campaign. But this is our blog and we will remove any comments that are offensive, irrelevant or otherwise annoy. We hope you find the material in this blog useful, interesting and on occasions, even entertaining!